Applicants who are planning to study abroad or for immigration need to appear for International English Language Testing System (IELTS) through the language ability of the candidate are assessed. 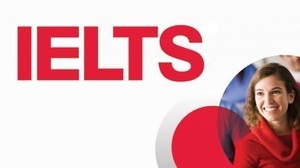 Candidates who wish to study appear for the academic module of IELTS whereas the applicants who wish to migrate appear for General module of IELTS. For more information, visit office of Winny Immigration and Education Services Pvt. Ltd. closest to you in Ahmedabad, Vadodara or VVnagar or call us on our toll-free number 1800-419-3242.